Her mouth made a disapproving little moue, but her eyebrows betrayed her confusion and curiosity. He set his cup of coffee on the tiny cafe table, leaned back in his seat, and settled his hands comfortably on his flat belly. “Well, you don’t think it’s like the movies, do you? Some high-school kid melts down some silver in shop class and pours it into a bullet mold? Loads it into a handgun?” He chuckled and shook his head. “What?” She sounded slightly defensive. That was pretty much exactly what she thought. “What do you mean?” Now she was definitely defensive. He favored her with a bemused look. “How do you think a bullet fires? Magic? You can’t just put a bullet-shaped piece of silver in a gun and pull the trigger,” he said, mimicking the action with an imaginary finger-gun. “First of all, bullets come in casings. You need gunpowder to make the bullet go, to fire it out of the casing. And then you need something to ignite the gunpowder; that’s what the primer is for. 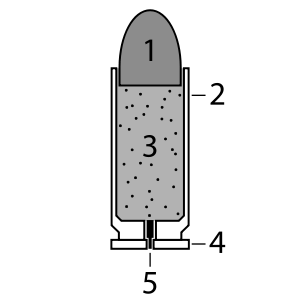 The pin inside the gun strikes the base of the cartridge casing when you pull the trigger and –boom!– sparks the primer, which ignites the gunpowder. The energy of the explosion and the compressed gases force the bullet out of the casing.” He paused and lit a cigarette. “It takes skill to make that kind of thing. Not just any idiot can do it.” The hand holding the cigarette described lazy circles in the air. “Really?” she asked, her annoyance momentarily forgotten. “Sure.” He shrugged. 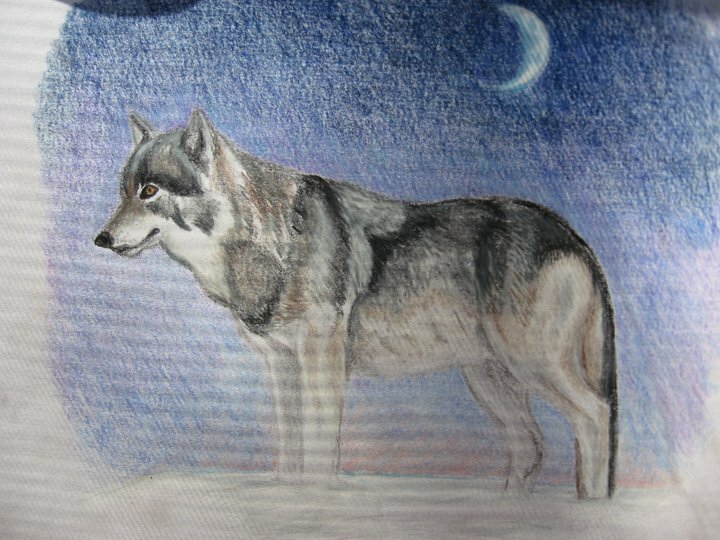 “They’re freaks of nature…but they’re still just animals. Like people.” He reached for his cup and downed the rest of the coffee. He only smiled and lit another cigarette, the flame from the lighter reflecting on his white teeth and his lip ring. She thought it was probably made of silver. 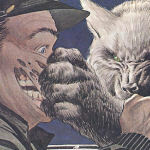 This entry was posted in Finished Fiction and tagged bullet, cartridge, Cycle of the Werewolf, fiction, guns, short story, silver bullet, Stephen King, werewolf, werewolves, wolf, writing. Bookmark the permalink.